Streamlining your channel workflow can help you be more efficient so you have more time to do what you enjoy—on and off YouTube. Do you ever feel like you don’t have enough time to manage your channel? Even if you’re an expert at producing videos, you may be spending a lot of time on channel-related tasks, so being more efficient could open up more time for you personally and creatively. Before changing your workflow, consider tracking how much time you’re spending on channel tasks—uploading, creating thumbnails, responding to comments, etc. Try monitoring your activities for one or two weeks, depending on your typical production schedule. You can jot down tasks as you complete them, or try using a time-management app such as RescueTime or Toggl. Then, identify which tasks are consuming more time than you’d like. There’s no formula for running a channel, so think about your own expectations, your work-life balance, and what you would do if you had more free time. Are there specific areas where you’d prefer to invest less time? 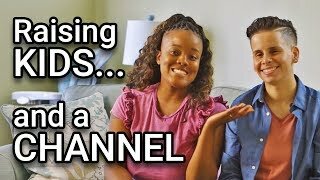 Consider how your YouTube channel fits into your life, what matters most for your well-being, and when it makes sense to disconnect or take a break. Remind yourself to take breaks, whether it’s to stretch or simply enjoy a quiet moment. Customize your YouTube push and email notifications for channel activity. Once you have a handle on what you’re spending the most time on and what you want to change, look into techniques that can help you do the same work with less effort. Here are some examples of how other creators have streamlined their channel management. Set video upload defaults. Choose default upload settings for video privacy, category, title, tags, comments, language, and more, then adjust settings for individual videos later. Note: These default settings only affect videos uploaded through your web browser. Set advertising defaults. If you’re monetizing with ads, you can turn on ads for multiple videos, and confirm or change the ad formats you want enabled for these videos. If you upload longform videos, you can enable auto mid-roll ads for multiple videos or your entire channel. Use a template for thumbnails. Try making a template for your video thumbnails. Consider using a background or theme that fits your brand and fans can recognize. Try selecting an image format that also looks good on mobile, and remember to abide by YouTube’s thumbnail policies. Use a template for end screens. Similarly, you can follow a template for end screens. End screens are a nice way to promote your content, channel, and websites. YouTube offers predefined formats that show combinations of elements that you can define for end screens. Manage viewer comments. You can manage comments for multiple videos at one time—for example, to hold potentially inappropriate comments for review. Plus, you can set up comment filters, giving you control to block certain words or users, so you can focus on approved comments. One more tip: consider what you can do quickly from your mobile device. With the YouTube Studio app, you can manage videos, moderate comments, access analytics, and more—allowing you to complete a number of channel tasks away from your computer, when it’s convenient for you. Nick Nimmin shares his tips for managing his channel and speeding up his workflow from his mobile device. Besides managing your channel, you probably spend a good portion of your time creating videos. Regardless of how many videos you publish every month, there are some things you can do to make the process easier. Make a programming calendar. Most people have a calendar for their personal lives, so it’s natural to have a calendar for what you do on YouTube. Your fans may want to see new content from you every day, but it’s important that you be realistic with your time. Think about a cadence that is sustainable for you over the long term—to build your channel and to maintain your well-being. Prepare your environment. You can jumpstart your recording by having a studio (or room) ready to go, so you don’t have to set it up each time. Look for simple ways to change the backdrop or props. In addition, you can use presets for your camera, lighting, and editing software, so that you get consistent exposure and color between shoots without manual reconfigurations. Batch your production activities. Some creators record several videos in one round, or plan all their editing for the same day. By concentrating your activities, you can stay focused instead of switching back and forth between multiple tasks (learn about “monotasking”). You may find that this helps you produce more videos in less time, while achieving a more consistent look and feel. Organize your video uploads. If you know you’ll be busy—or on vacation—and you still want to release content, you can schedule a video to publish on a later date. For example, you can upload videos and schedule them to be released over the next two weeks. This is a great way to keep content fresh and original on your channel without compromising your production quality. What if you run out of videos? Don’t sweat it. Before your next video production, there are plenty of ways to engage with your audience. Try posting text updates, polls, or GIFs in the Community tab. Or experiment with Stories, a beta feature for creating and sharing short videos more casually and on the go. Find concepts that allow for bulk shooting. Make a shot list before each recording. Consider what tasks you can outsource. Repackage content for more value. Meet Ebony and Denise, the creators behind Team2Moms. Hear about their journey on YouTube and what they've learned about the production process. Some creators assume they must make longer videos to boost their discovery on YouTube. However, it’s better to make content that viewers want to watch, whether that happens to be a three-minute video or a 30-minute video. 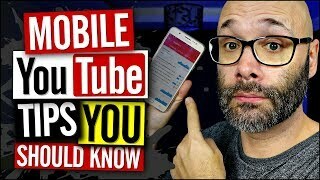 If your videos are successful at keeping viewers watching, they may be recommended to new viewers who also would be interested in this content. Watch time. Look at your watch time data, with a keen eye on average view duration. This tells you the estimated average minutes watched per view, so it’s a good barometer of how well you’re converting potential viewers into actual viewers. Try comparing data between subscribers and non-subscribers for more insights. Audience retention. Look at your absolute audience retention curve, which shows the number of views for every moment of a video. Sharp declines indicate that many viewers have stopped watching at a specific point. Consider why viewers lost interest and how future videos can maintain steady retention until the end. For additional guidance, you can look at top creators in your category and check if they tend to produce videos of a certain duration. But don’t feel obligated to always do the same. It’s often valuable to experiment with video lengths, then see for yourself how your audience reacts. Consider making longer videos when that suits the genre and topic. Try adding something cool at the end of videos to delight viewers. Experiment with shorter and longer videos and analyze the results.